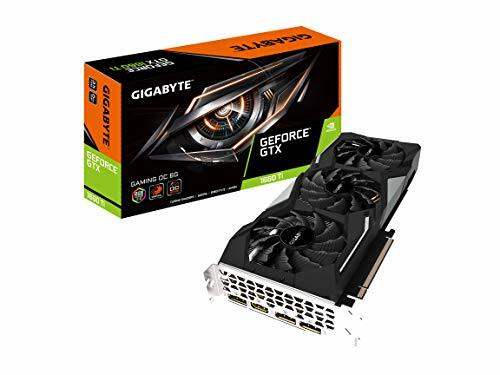 The Gigabyte's Geforce GTX 1660 Ti Gaming OC 6G is now listed on Amazon UK for £286.11 + £7.58 UK Delivery. The listing by Amazon US so it would be imported, but it appears to be told by Amazon not a market place seller, and therefore the pictures and price should be accurate for the final retail price. This retail listing also lists a release date of February 22nd, making the GPU's launch next week, assuming that the information on Amazon UK is accurate. Previous reports indicated that this new card will offer slightly better than GTX 1070 performance which would have been great if priced a little better. However, the GTX 1070 launched at around £350 with a game so you are not saving much compared to the original RRP. Granted prices have gone up since then but the Zotac GeForce GTX 1070 AMP Edition 8GB is still £332 on Scan, and a Mini is £270. For me, it looks like you would be better off spending a little extra on a RTX 2060. Scan has the Mini models in from £320 and a dual fan PNY GeForce RTX 2060 for £340. With this card, you are getting something that performs better than the GTX 1070Ti and is nipping at the tails of the GTX1080 in many cases, while also introducing ray tracing and DLSS features. Hopefully, the price will be adjusting in the coming weeks with it getting closer to the £250 mark. It also includes several images of the card as seen below.